State Fair - Color Page | Winners Drink Milk! By entering your email address you are enrolling in our monthly ADAI Moosletter—a collection of dairy news, recipes, and upcoming Indiana events! 50% off a kids meal with submission of colored page, and a chance to win a grand prize! Kids meal includes a grilled cheese sandwich, applesauce, milk, and a fun prize! Enter your email address & click Submit. 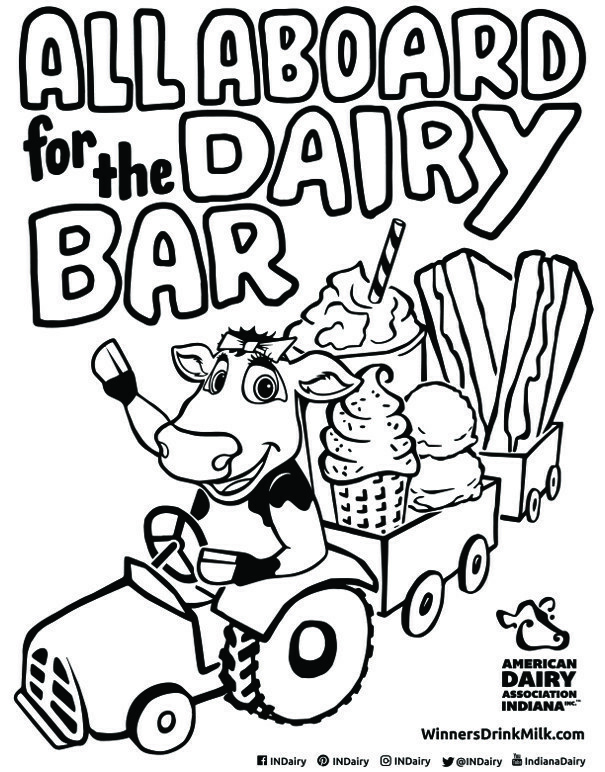 Download and print the Coloring Page for your child 12 & under. 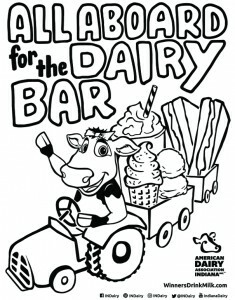 Submit colored page at the Dairy Bar at the Indiana State Fair, Aug. 3-19.